Liked your version of views .. 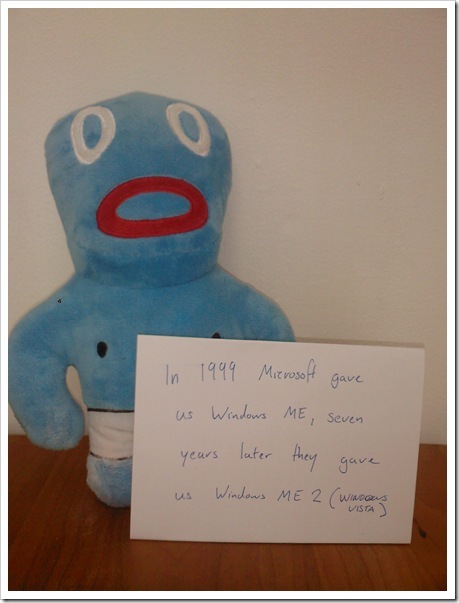 It seemed as if you have just spoked what a genuine windows lover will quote. Great post Jamie. I’ve currently got the Vista Blues too. Just ordered some extra ram to take me up to 2Gb and hopefully get some kind of normal speed back. After that the next step is a reinstall & downgrade to XP. Vista is still in my drawer but I am planning to give it another go on my Rock Laptop – 3.6 GHZ P4 1GB Ram! With XP on the way out soon (http://www.jasonslater.co.uk/2008/03/25/a-world-without-xp/) I may not be able to hold off especially as I am already receiving support requests for Vista. 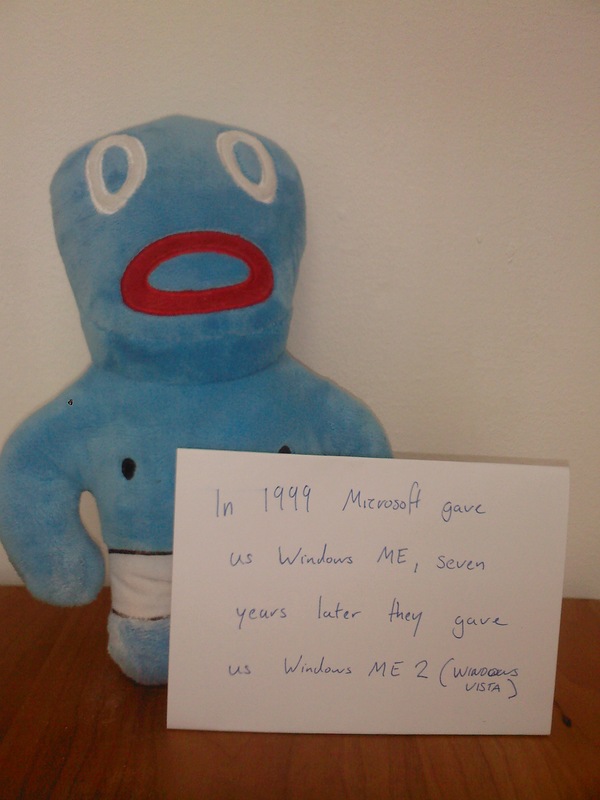 In the words of Highlander “There can be only one!” – I just didn’t realise he was talking about Windows! Joe – Blue is from the Cmon’s a Spanish Band I think. We adopted him as the office mascot. Just so happens to be called blue. I’m not MS hater at all, I really like Office 2007 and Windows Live Writer etc. Fraser – Linux can be equally painful too when you don’t know what you are doing, but it doesn’t hog the computer resources like vista. Ubuntu has nice feature to add additional software without any fuss, think Add/Remove in Windows with online directory, tick the box and the program is downloaded along with any other additional files the system needs. Watch Microsoft have this in their next OS. Jason – My new machine came with XP pre-installed but I decided to go with Vista for support issues. My main machine is a laptop with XP. It really needs replacing, but I don’t want Vista. Really considering an Apple, plus I have a new client who are phrasing out Windows for Apple’s, so I could do with expanding my knowledge in this area.